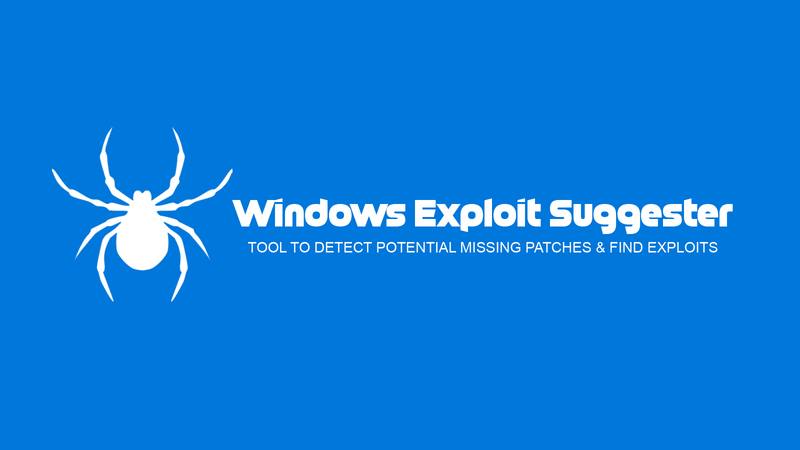 Windows Exploit Suggester is a Python-based tool that compares a targets patch levels against the Microsoft vulnerability database in order to detect potential missing patches on the target. It also notifies the user if there are public exploits and Metasploit modules available for the missing bulletins. It requires the 'systeminfo' command output from a Windows host in order to compare that the Microsoft security bulletin database and determine the patch level of the host. It has the ability to automatically download the security bulletin database from Microsoft with the --update flag, and saves it as an Excel spreadsheet. False positives also occur where it assumes EVERYTHING is installed on the target Windows operating system. If you receive the 'File 1' output, try executing 'wmic qfe list full' and feed that as input with the --hotfixes flag, along with the 'systeminfo'.